He wants me to live with him in a palace for one year, the lass reported to her shocked family. No. Hans Peter dropped the knife to the floor with a clatter. Whirling around, he caught hold of both of the lass's shoulders and shook her gently. Don t do this. Please don t do this. You cannot know what evil there is in the world. When a great white bear offers a woodcutter's daughter untold riches in return for her company, she accepts, believing she has made a wise decision. Even though the lass is offered every luxury at the bear's castle, she begins to feel like a prisoner. Then, when servants start to disappear, the lass realizes the bear may know more than he will say. 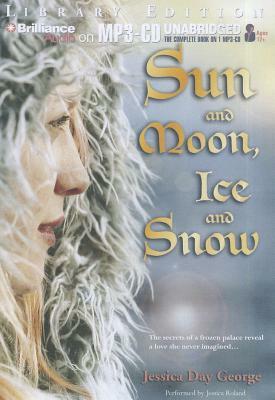 Determined to learn the truth, the lass sets out on a windswept journey east of the sun and west of the moon to fight for the man she has only just discovered is her one true love. Mystery, adventure, the supernatural, and a touch of love. Booklist.